We don’t have a secret recipe, we tap into a brand’s magic and deliver it. How? We simply rethought the High-end Ad Agency structure to make creative marketing financially accessible to all. We believe in honoring our clients' trust in us with educated strategy because their business deserves world-class advantages minus the spilled budgets. ​Our motive: Employing technology to raise consumers’ marketing standards. We are a team of convergent thinkers who create a culture of collaboration, working exclusively with highly skilled and driven entrepreneurs to offer our clients top service in the different aspects of the advertising and marketing industry. 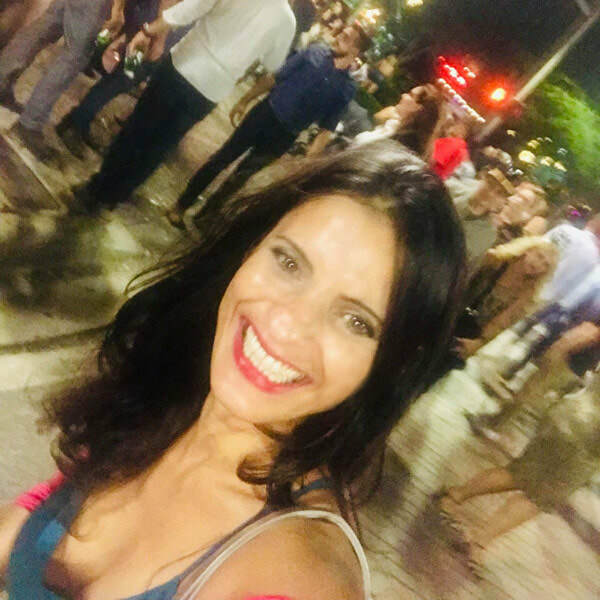 Based in Boca Raton, Florida with over 20 years experience in advertising and marketing, Najla started her career at FP7 - McCann Worldwide working on the largest accounts for the MENA region: McDonalds, Coca Cola, L’Oréal-Paris and DHL. She proved to be an innovative conceptual talent bridging communications between Fortune 500 clients and local markets. With a Masters degree in Advertising & Communications, her background also includes scenario writing, film critiquing, theater, sculpturing, darkroom photography, introductions to filmmaking, interior design and more. She continues to service various industries, leading creative campaign development for start-ups as well as reviewing brand strategy for established businesses, always on top of the latest technological and social trends. Strategic Digital Marketing for Niches, research & development, Growth Hacking and systems development and optimization. Not only is Johnny licensed in Google analytics and many technology related certifications, he offers world class knowledge and a wide range of skills developing and implementing marketing strategies with proven success rates in European markets and the U.S. He worked for large scale companies in London, controlled large paid advertising budgets of 100,000 euros per month, and has lead many businesses into success since the early days of the internet. There is no code Johnny can’t write, but he prefers to reserve his time manipulating technology through digital marketing to serve his clients in the highest valued aspects. What sets Plum Productions apart is their team's experience. Jennifer, an award-winning Creative Director, has worked as a video professional for more than a decade. She has produced segments for many world-renowned corporations like Bentley Motors, Cotton Incorporated and Dow Building Solutions. Since founding Plum Productions in 2009, Jennifer has been helping local businesses grow through the power of video. Jennifer is skilled in every facet of the video production process, including writing, producing, shooting and editing. She supervises every Plum project to make sure each piece gets the special finesse only a video professional with her level of experience can deliver. Mymi was born in Paris, raised in the French Riviera where she was exposed to the French & Italian culture at a young age. She studied Art, Marketing and Psychology in Paris for 4 years. In the early 2000s Mymi broke into the fashion industry in NYC and Broadway. 10 years after running modeling and personal shopping businesses, she developed a bigger interest to be on the other side of the camera. Her passion for photography grew as she focused on techniques and challenges to become an expert in marketing photography. Her company now provides full-fledged high-end photography servicing advertising agencies, modeling portfolios and real-estate. We value and respect your privacy. Your information will only be shared with iUniqueU, in relation to your inquiry.